It's been a while since Shaq Fu: A Legend Reborn succeeded at securing funds through its Indiegogo campaign, and we finally might have a first look at what it looks like tonight. NBA Legend Shaquille O'Neal has tweeted that he will be in attendance at The Game Awards tonight at 9 p.m. EST, 6 p.m. PT, and he will be bringing his game to show off to the world. 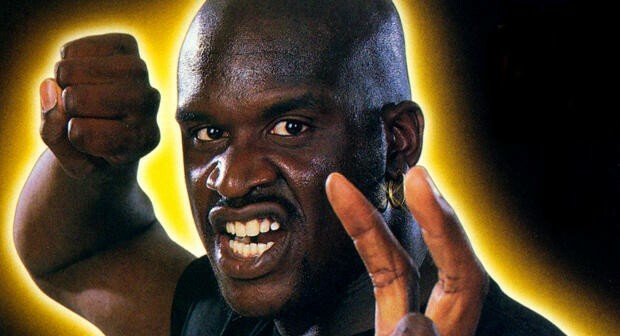 I'm heading to @thegameawards on Thursday in LA, have a little Shaq Fu surprise for you videogame fan. It remains to be seen whether it is a genuinely good beat 'em up action game or a throwback to how crummy the original SEGA Genesis hit was. Hopefully for all those involved, fans and developers alike, video games prove to be a better investment than both Shaq's acting and hip-hop careers turned out to be. Man, I miss the 90s. Again, The Game Awards air tonight at 9 p.m. EST, 6 p.m. PT.